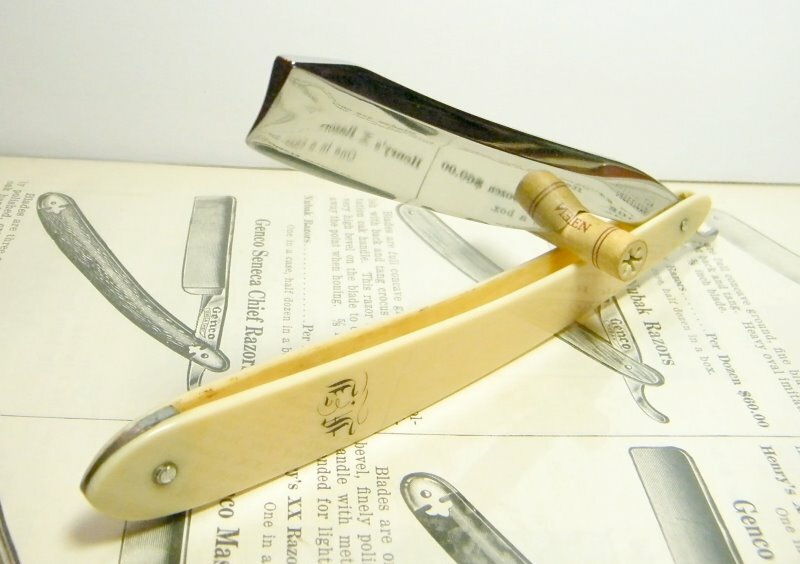 STRAZORS.com - all about classic razors - John Heiffor, Sheffield. Heiffor's first listing in Scotland Street comes from 1815 and 1820: he is recorded as making razors and working as a perfumer and hairdresser. In the late 1830s he is concentrating on razors and has moved to Workhouse Croft, now known as Paradise Street. Although John Heiffor died in June 1849, the business moved to Paradise Square with Thomas Heiffor (John Heiffor's son) leading the business. The business now produces cutlery and sells its famous "Army" razors for one shilling each in the 1850s. 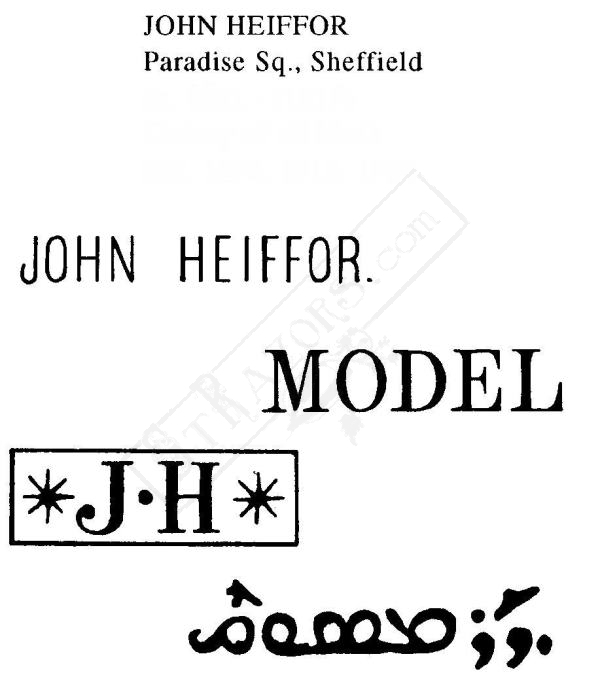 Whites Directory of Sheffield for 1852 also lists John Heiffors company as Army Razor manufacturers. Thomas Heiffor died in 1886, aged 64. By 1903 James Hill becomes the senior partner in the business. He died in 1911 at Watson Road in Broomhill. 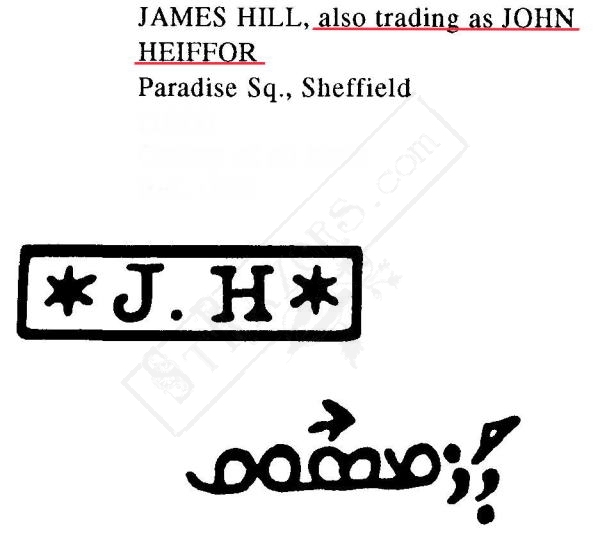 One of John Heiffor's corporate marks was "*J.H. *"
Paradise Square remained the firm's address until yhe 1930s. In 1941, it was listed in Watson Road, but had ceased business by the late 1950s.